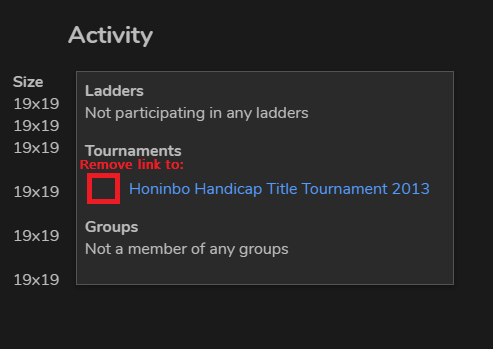 After entering a tournament, a link to it remains on your Home and Profile pages until it concludes. In some cases that can take years. I’m not going to guess how long this one might take if it ever actually starts. Perhaps followed by a simple confirmation window. Not even crudely mocked up. I would like if tournaments were automatically hidden from my profile and overview, if i’m already DQ’d or resigned from them. 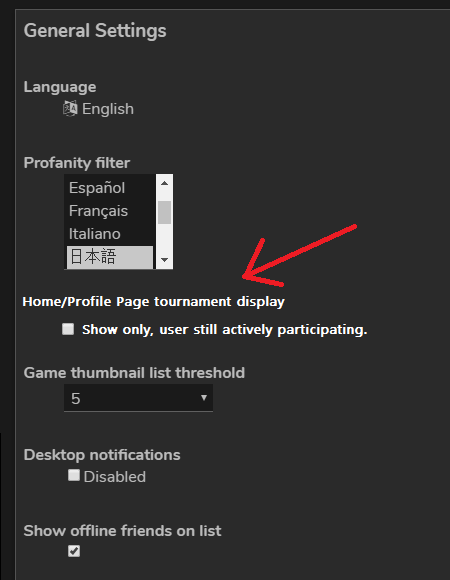 That checkbox could also hide tournaments from other players profiles, if they have been dropped out from their tournaments. Or alternatively, that could be made the default and an option to ‘show all’ tournaments added. This is something I have wanted done for a long time now. I absolutely agree, thank you for bringing this up!